Before you know it, the 2017 International Food & Wine Festival will be underway! In fact, booking for some of the festival events started more than a month ago! The 2017 International Food & Wine Festival kicks off on August 31st and ends on November 13th. There’s more to see and do this year and even more time to do it with a record 75 days! 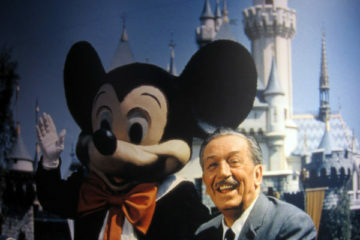 The 22nd annual Food & Wine Festival brings back some old favorites and incorporates some things that are totally new. 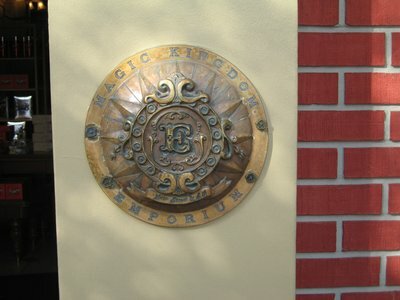 Many of the events will take place in the Festival Center, which is in the old Wonders of Life Pavilion. 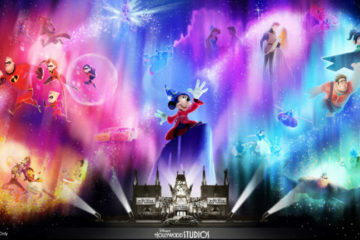 Let’s take a look at some of the special events Disney has planned for this year’s festival goers. The 2017 International Food and Wine Festival has a lot to offer this year! Connoisseurs from around the World will arrive in Florida to teach you about Wine, Tequila, Whisky, Beer, Champagne, Bourbon, Vodka, Sake, Liquor, Scotch, Moonshine, Cognac, and Mezcal. Domaine Bousquet, Ca’Momi, Epicurean Wines, Eden Canyon Vineyard, Pacific Highway, Weingut Markus Schneider, Cannonball Wine Company, Espierito XVI Tequila, Cask & Crew Whiskey, Founders Brewing Beer, The Fladgate Partnership, and Piper Heidsieck Champagne will all be represented among others. Seminars will be held Monday through Thursday 1:30pm and 3:30pm and Friday through Sunday 1:30pm, 3:30pm, and 5pm with an extra seminar on the first day at 5pm. The seminars are an affordable $17 per person per seminar. Culinary Demonstrations are also $17 per person per demo. They will be held less often on Mondays through Thursdays at 2:30pm and Friday through Sunday at 12:15pm and 2:30pm. The variety in the culinary demonstrations is amazing. Guests will see everything from fish and beef prep to chocolate and vegetarian prep. See Walt Disney World pastry chefs from Italy, Disney’s Grand Floridian Resort & Spa, Disney’s Animal Kingdom, and Joffrey’s Coffee & Tea Company make their delectable creations. Restaurant dishes from around Epcot including fish from Mexico, escargot from France, seafood from Japan, and beef from Morocco are represented. Scallops and Salmon from Hollywood Brown Derby and scallops from Mama Melrose’s Ristorante Italiano bring Disney’s Hollywood Studios into the festival. Disney’s Animal Kingdom is also involved with Yak & Yeti’s shellfish and Tiffins venison. Magic Kingdom is also represented in Liberty Tree Tavern and The Diamond Horseshoe’s duck dishes as well as Cinderella’s Royal Table. Chefs from Crystal Palace are also on hand to talk about scallops, Jungle Navigation Co. Ltd. Skipper Canteen for pork, and Tony’s Town Square Restaurant for beef. Disney Springs‘ Portobello Country Italian Trattoria holds a vegetarian segment, and STK talks about their beef. Polite Pig, also from Disney Springs, discusses fish. 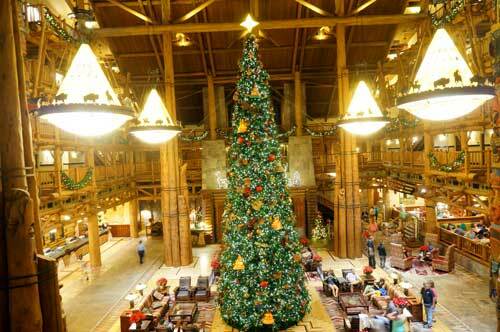 Disney resort hotels also get in on the fun. See chefs make tuna from Disney’s Polynesian Resort‘s Kona Café, Pork from Disney’s Animal Kingdom Lodge‘s Sanaa restaurant and Disney’s Old Key West Resort‘s Olivia’s Cafe, and Disney’s Fort Wilderness Resort’s catfish. It’s not just the deluxe resorts participating though. 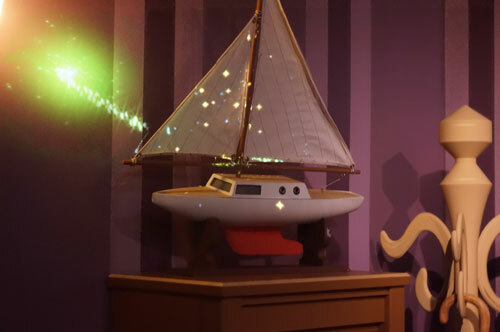 Learn about Disney’s All-Star Movies Resort’s pork as well. Finally, with Thanksgiving quickly approaching, Walt Disney World catering chefs will teach you about turkey prep! Mix It, Make It, Celebrate It! is a different kind of show. These hands-on workshops cost a little more at $49 per person, but they are lots of fun and you can learn a lot that you can take home with you. Monday through Thursday at 12:15pm and 1:30pm, you can learn tips and tricks for making your own appetizers, entrees, and desserts. Some of them are healthy and some of them are not, but they’re all delicious! There’s even a class to learn how to make a cupcake garden from Bronwen Weber’s Frosted Art Bakery in Dallas, Texas and Pixie Pops from The Ganachery in Disney Springs. Other special ingredient classes include coconut and strawberries. 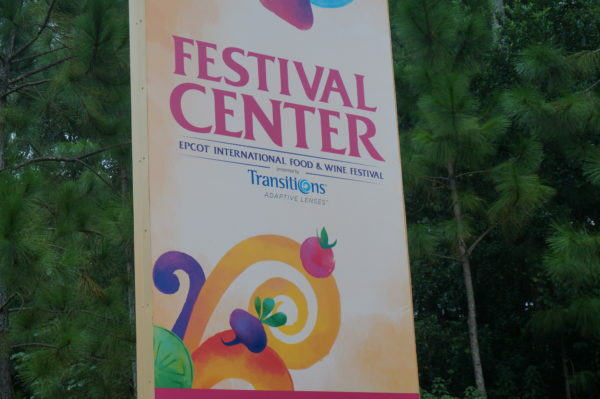 The Festival Center is the hub for all things Food and Wine! If you’re on a tight budget, you don’t have to miss out on the food and wine fun. There are several shows that are included with admission. The Chocolate Experience: From Bean to Bar run by Ghirardelli Chocolate Company has been a staple at the Food & Wine Festival for years. It will start at 9am and go until close every day of the festival and will teach you about the history of chocolate and the chocolate making process. 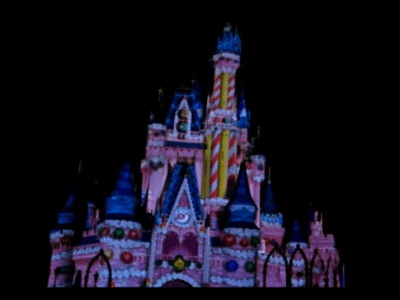 There will even be chocolate sculptures designed by Disney pastry chefs. There will be Book Signings and Meet & Greets daily with authors and personalities in the food industry. Bring purchased merchandise with you for them to sign, and check the daily schedule to find out exactly who will be appearing that day. If you’d like to participate, you’ll have to get a wristband at the Festival Center, and only a limited number of wristbands will be available. In addition to book signings, there will also be Bottle Signings. Bring your purchased bottle of wine for a special souvenir to take home with you. Check the daily schedule for this event as well. Remy’s Hide & Squeak Scavenger Hunt returns for the third year in a row. Help Remy find ingredients for his famous ratatouille dish as you travel around World Showcase. You can purchase a map and stickers for $9 from several locations around Epcot including Pin Central, Festival Center, Disney Traders, and the International Gateway. Once you compete your map, you’ll get a limited edition pin when you return it to the Port of Entry. 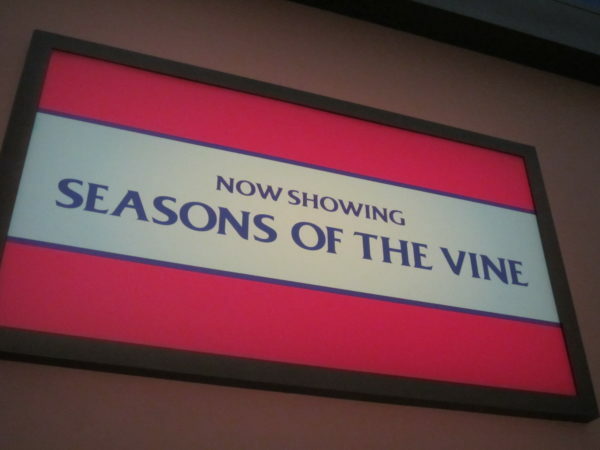 Seasons of the Vine is a seven minute film that takes a behind the vines look at wine making. It will run continuously in the Festival Center throughout the festival. Seasons of the Vine is back this year for all you wine lovers! It doesn’t get much more affordable than free! The Marketplace Discovery Passport will be back again this year for you to track your progress around World Showcase. The stamps have been replaced stickers, which you apply yourself. Pick up your book at the Festival Welcome Center, complete it during your visit, and take it home with you for a fun – and free – souvenir. The Eat to the Beat Concert Series is also back this year at the American Gardens Theater in the American Adventure Pavilion. Bands from the 80s, 90s, and today will rock your festival socks off. Prices range from $50 to $80 per adult and $17 to $42 for kids ages 3 to 9 depending on which restaurant you choose. 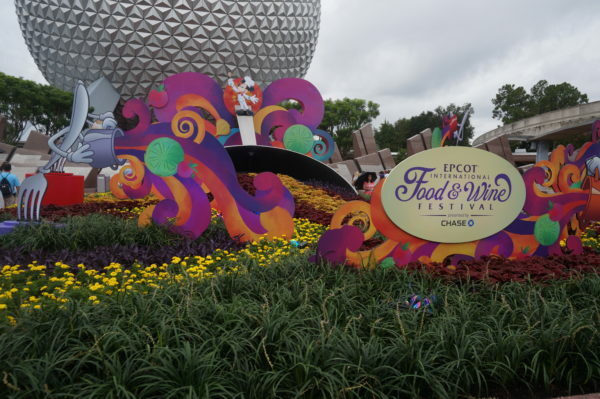 Epcot Food & Wine Festival 2017: Are you going?